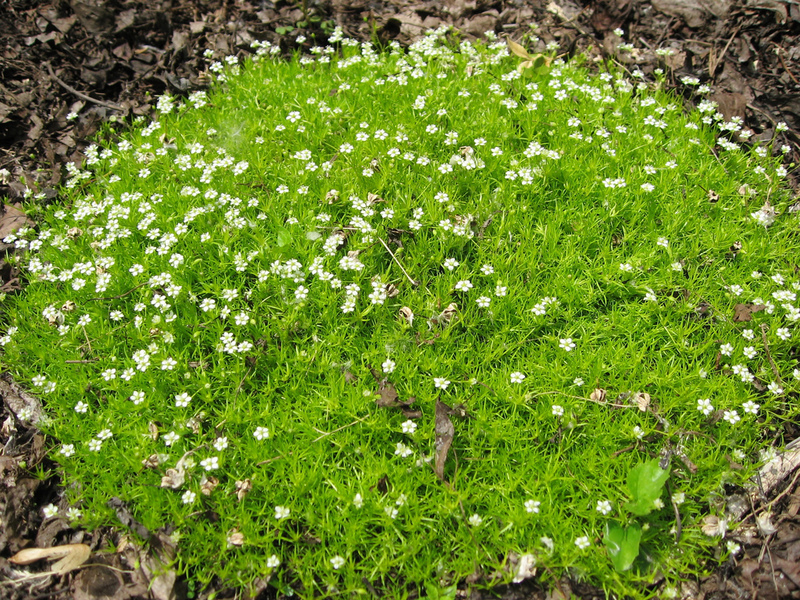 Irish moss, reproduction, growing, care, examples of landscape design, photo and video. Bryozoans subulate or Irish moss. Manicured lawn is the backdrop for luxurious landings, on all the flowers look fabulous, Royal. Normal lawn in need of constant care, bring a lot of trouble. Vegetation need to constantly mow, comb, pour, feed, weed from intruders-weed. From time to time have yellowed sow, sun-bleached, areas, lost a fresh new look. 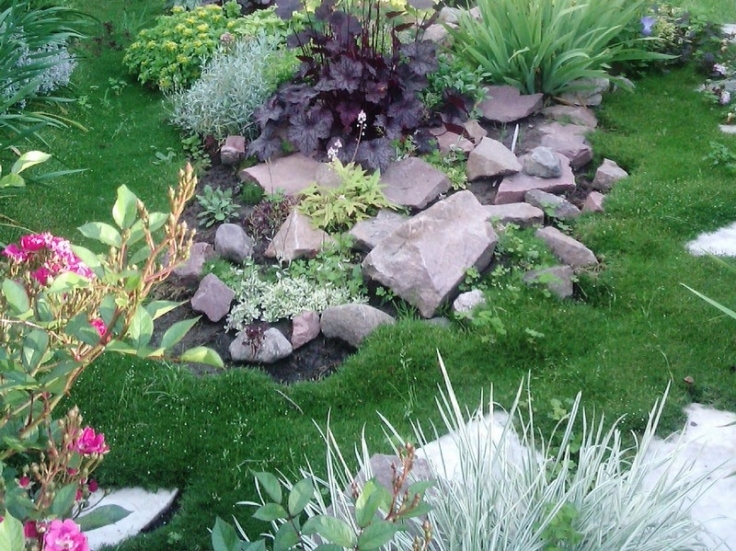 There is an alternative to all this complicated process: planting groundcover plants. Many of the flora used for this purpose, but landscape designers often prefer bryozoans styloid, the second name of which is Irish moss. The name speaks for itself, the plant can be found on the rocky slopes of harsh Ireland. The distribution area also includes Eastern Europe, Atlantic coast, The Mediterranean. Mszanka is so named because of similarity of appearance. 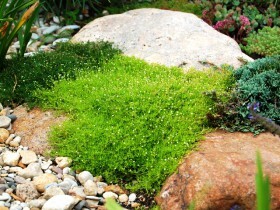 It really is a perennial herb of the family Caryophyllaceae, which forms a "cushion", looks like a real moss. This groundcover is a cross between grass and moss. Unlike the latter loves Sunny places. Stems flexible, they are impossible to break, soft leaves, similar to needles, no cleavage: on the turf of bryozoans can walk barefoot. The plant consumes water sparingly and is able to be content with rare watering. Shoots fast and easily rooted, this contributes to the uniformity of the "carpet" covering soil. The flowers are small, white, consist of five petals, diameter – 5 mm. Flowering lasts from may to September, at this time, the lawn looks like this, like he powdered snow. It is important when buying planting material is not to confuse perennial with reclining bryozoans, which is the weed. The turf of bryozoans do not need to mow, it's not necessary, plant height – no more 8 cm. On such a lawn can be run, jump, to walk – the grass is not trampled, the mechanical effect it only condenses and makes it more reliable and beautiful. A dense carpet blocks the access of weeds. Individual members can appear, but removing them will require a minimum of time. Coverage of bryozoans does not require frequent watering. Exception – dry periods, when all plants, without exception, suffer from lack of moisture. Damaged areas quickly and without the intervention of the gardener delayed new plants. 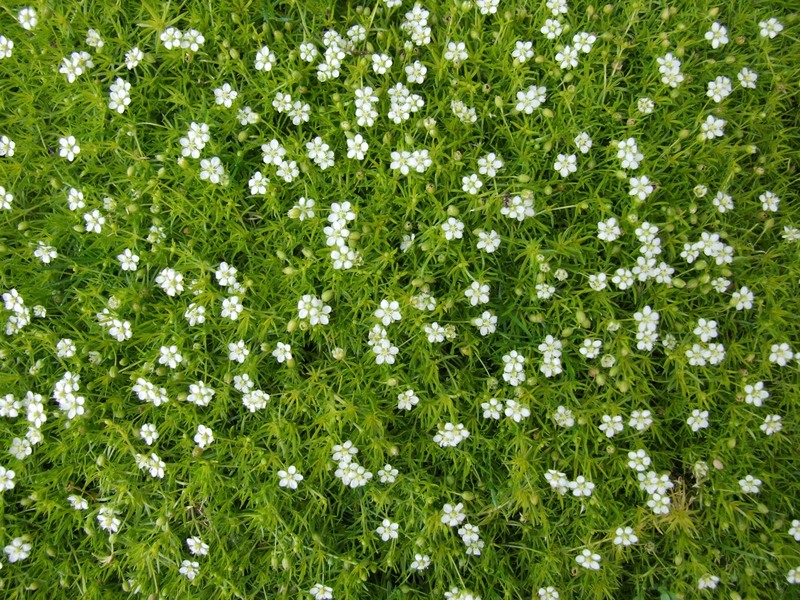 Perennial blooms, in the summer it turns into a lawn with thousands of small white stars. Tiny flowers exude a pleasant honey aroma. Small flowers bryozoans similar to snow, fell suddenly in the middle of summer. 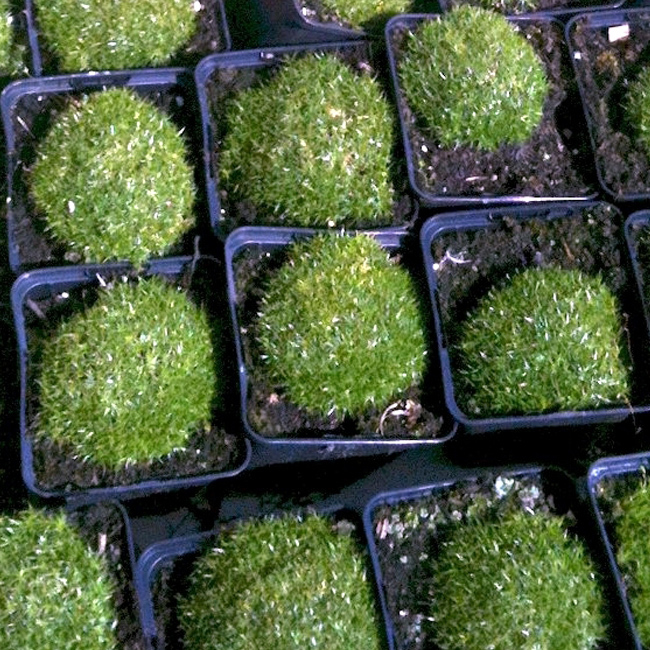 Irish moss can be planted from seed or cut pieces of turf. The second method is safer, easier and faster. Purchase bryozoans for vegetative propagation in nurseries better. Seeds bryozoans are sold in specialized stores, since the size of planting material small, the bag weighs just fractions of a gram. The tiny seeds are sown in early spring, at the end of March or in early April. Best packaging – boxes, filled with well-moistened soil and covered with membrane. A superficial way of sowing to spring sowing soil mixture is not required, otherwise they will not germinate. Advice from experienced growers: scattered on the surface of the soil seeds can be covered with snow, it not only moisten the soil, but will bury planting material at the right distance. 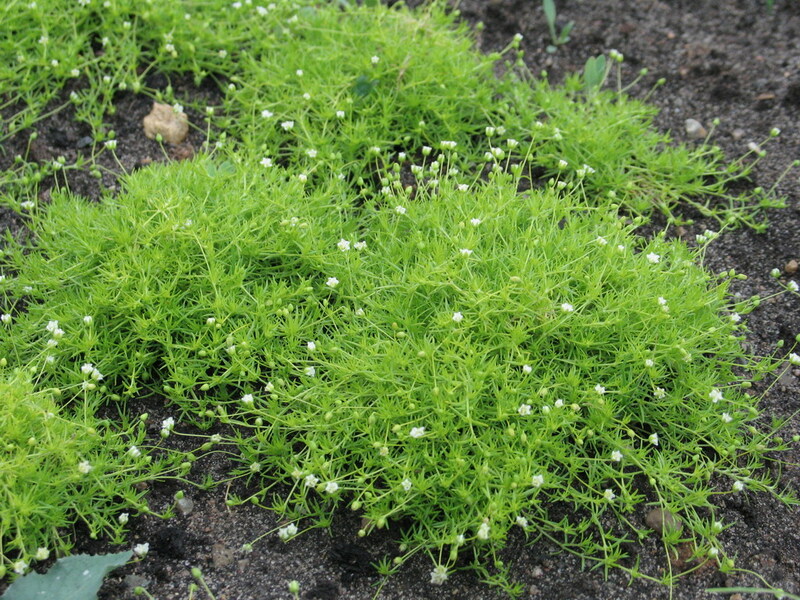 A week after planting appear tiny soft green needles, which then become tufts of bristles bright green color. At this stage the seedlings should be thinned. At the end of April or early may tufts of greenery planted in open ground. Seedlings have a distance in 5 – 10 cm from each other. This space very quickly drags shoots of perennial. All subsequent seasons bryozoans will rastavatsya yourself, the seeds scatter of small fruits in boxes, which are formed in place of dried flowers. The lawn will be to renew themselves without human intervention. Purchased bryozoans seedlings planted in a permanent place and organize daily watering of plants. For rooting you will need about two weeks. To reduce the evaporation of moisture and to protect the young shoots from the sun, use spunbond non – woven material white color. Also to speed up the survival rate by using mineral fertilizers, insertion into the soil before planting and several times during the warm season. Perennial winter hardy, but with little snow in the winter, it is recommended to cover the turf of bryozoans spruce branches. Quickly to create a lawn, having spent a minimum of forces, you can use sod small size, cut from a good overgrown grass carpet. The soil for planting needs to be loosened, remove weeds, to shed water and lay sod, stamp down their legs. It is possible to stack the green squares or rectangles close to each other or at some distance, if material. The free space will quickly become overgrown, literally in two months. Places, where the turf was cut, to fill the earth. Bald spots will be covered with shoots. To multiply in this way bryozoans better in the spring or early fall: plants should be well rooted before the cold weather. Not only the lawns filled with the life of the garden. 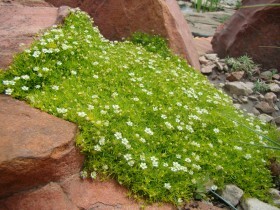 Irish moss is used to create rockeries, volumetric sculptures, Alpine, gardens of stones in Japanese style. The plant is a good foil for flower bulbs: tulips, crocuses, hyacinths, irises, daffodils. Around the flowers leaving a space, to bryozoans tightened their shoots. 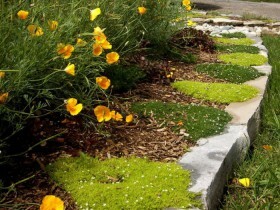 Irish moss decorate the garden paths, it is planted between stone slabs, cover the slopes, decorate the place of rest. The carpet of bryozoans you can "lay" on the Playground for children, kids love to lie on the green grass, and it did not hurt. 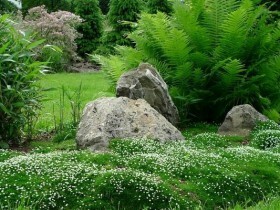 Advice to all, who's afraid of the volume of work, which is essential in the care of classic, lawn: stop your choice on the bryozoans, and you will not have unnecessary worries in the garden. Bryozoans are very rarely sick. The only threat to her pest is aphids, which can quickly destroy the chemicals, sold in specialty stores. Bryozoans and stones of different color and size. An example of decoration stones. 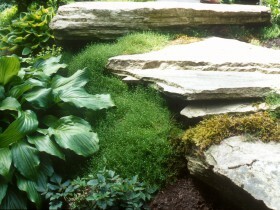 Landscape design: moss, stones, deciduous plants. 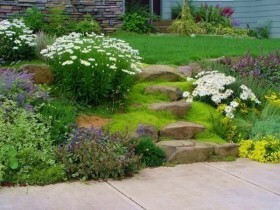 A border of moss and flowering plants. The cultivation of bulbous plants. All content on this site SamDizajner.ru written specifically for Simdesigner, copying 1 in 1 strictly prohibited. Reprint, full or partial rewriting of the article “Green carpet in the garden bryozoans styloid”, possible, only when you specify the full, active link to the source.